Soft Maple | Buckhannon, WV | AFP Logs & Lumber, Inc.
Soft maple machines well and can be stained to an excellent finish. It glues, screws, and nails satisfactorily. Polishes well and is suitable for enamel finishes and brown tones. It dries slowly with minimal degrade and there is little movement in performance. Furniture, paneling and millwork, kitchen cabinets, moldings, doors, musical instruments, and turnings. 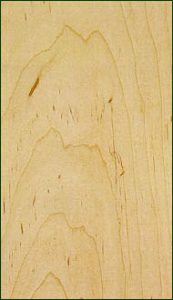 Soft maple is often used as a substitute for hard maple or stained to resemble other species such as cherry. Its physical and working properties also make it a possible substitute for beech. Readily available in thicknesses 4/4 through 8/4, moderate availability 10/4 and heavier. 4% of total U.S. hardwoods commercially available.